Ezekiel 37:11 Then He said to me, “Son of man, these bones are the WHOLE house of Israel; behold, they say, ‘Our bones are dried up and our hope has perished. We are completely cut off.’ 12 Therefore prophesy and say to them, ‘Thus says the Lord God, “Behold, I will open your graves and cause you to come up out of your graves, My people; and I will bring you into the land of Israel. 13 Then you will know that I am the Lord, when I have opened your graves and caused you to come up out of your graves, My people. In Ezekiel 37, we see DRY BONES coming to LIFE. YHWH says He will pour out HIS HOLY SPIRIT, He will BREATHE LIFE into the DRY BONES of the WHOLE house of ISRAEL, the Southern two Tribes (Judah/Jews) and the Northern 10 Tribes/Gentiles (Ephraim). YHWH is going to open our GRAVES and REDEEM our DEAD FLESH, our DRY BONES!!! Jesus has a plan to revive the WHOLE HOUSE of Israel, Jew and Gentile. The dead in Christ rise first, this is the Christian’s Blessed Hope and is the event that occurs just before the “Catching away”, the Rapture!! The Jewish people who do not yet recognize their Messiah YESHUA, must endure the 1260 day Tribulation before they will Recognize Jesus as the Messiah and say “Blessed is HE who comes in the Name of the LORD!”. However, during the Tribulation, a good portion of them will be taken “to the wilderness” where they will be nourished (manna from Heaven?) for 1260 days (3.5 years) until Yeshua returns to rescue them from the antichrist! This “event” is described in Revelation 12:5-6 utilizing apocalyptic (symbolic) imagery. the “male child” refers both to YESHUA (head/leader) and also the Raptured Saints (body of Christ). Notice that the male child is “caught up”, (harpazo) referring to a violent snatching away, as from the jaws of death. This is a picture of the Rapture. Revelation 12:5 And she gave birth to a son, a male child, who is to rule all the nations with a rod of iron; and her child was caught up (Rapture/harpazo) to God and to His throne. 6 Then the woman (tfj: Jewish people) fled into the wilderness where she *had a place prepared by God, so that there she would be nourished for one thousand two hundred and sixty days. Revelation 12:5-6 shows us a picture of the Rapture and the protection of the Jewish remnant during the Great Tribulation. None of this will occur UNTIL the fullness of the Gentiles have come in! This is what we’ve been WAITING FOR! The FULLNESS of the GENTILES! The Jewish people have been partially blinded for over 2000 years during the “Mystery” of the Church Age. The Lord Jesus Christ has been offering the NEW COVENANT to the Gentiles (including the Northern 10 Tribes of Israel who have been “swallowed by the Gentiles”) during this “Age of Grace“. MANY are CALLED, but FEW are chosen (Matthew 22:14). After the FULLNESS OF THE GENTILES has come in and the Rapture of the Church, Jesus will turn His Face BACK to the Jews. Because they REJECTED their MESSIAH, YESHUA (JESUS), they must go through the “final indignation/time of Jacob’s Trouble), also known as the Great Tribulation (Jeremiah 30:7). The purpose of this final indignation is not only punishment, but also to AWAKEN the Jewish people to the TRUTH that JESUS IS /WAS/ and always HAS BEEN their PROMISED MESSIAH! However, as we saw above, YHWH has a remnant of Jewish people that He will shelter, protect and nourish even during the most difficult days that have ever existed on this earth. Although the Jewish people REJECTED JESUS, HE still LOVES THEM! Jeremiah 31:31 “Behold, days are coming,” declares the Lord, “when I will make a NEW COVENANT with the house of Israel AND with the house of Judah,32 NOT like the covenant which I made with their fathers in the day I took them by the hand to bring them out of the land of Egypt, My covenant which they broke, although I was a husband to them,” declares the Lord. 33 “But this is the covenant which I will make with the house of Israel after those days,” declares the Lord, “I will put My law within them and on their heart I will write it; and I will be their God, and they shall be My people. Jesus, the SON of the LIVING GOD, is the ONLY ONE who can TAKE AWAY SINS via the NEW COVENANT written in HIS BLOOD! Jesus IS MAKING the NEW COVENANT with the WHOLE HOUSE of ISRAEL! But who is Israel really? When people think of “Israel”, they think of the Jews, they think of the State of Israel. Replacement Theology will tell you it’s the church, but that theory has definitely been debunked because YHWH NEVER divorced JUDAH! The Patriarch of the twelve Tribes of Israel (12 sons of Israel) was Jacob, the Grandson of Abraham. Jacob was renamed “Israel” after spending a night wrestling with God. (Genesis 32:28). . This name (ISRAEL) is a combination of the Hebrew words for “wrestle” and”God” (because sareta [you have wrestled] with God [‘el] and men you will be called yisrael). When Jacob had returned to Canaan, God commanded him to settle in Bethel “house of God”; there God appeared to Jacob again and repeated that his name was no longer Jacob but Israel. This confirmation of the naming was followed by God confirming HIS ABRAHAMIC covenant with Jacob ( Gen 35:9-12 ),emphasizing specific elements of the covenant he had made with Abraham ( Gen 17:1-8 ). The name ISRAEL expressing the concept of wrestling, clinging firmly to God, and overcoming, and God’s confirming of HIS COVENANT with Jacob (ISRAEL), indicates that ISRAEL is to be understood as Jacob’s COVENANT NAME. 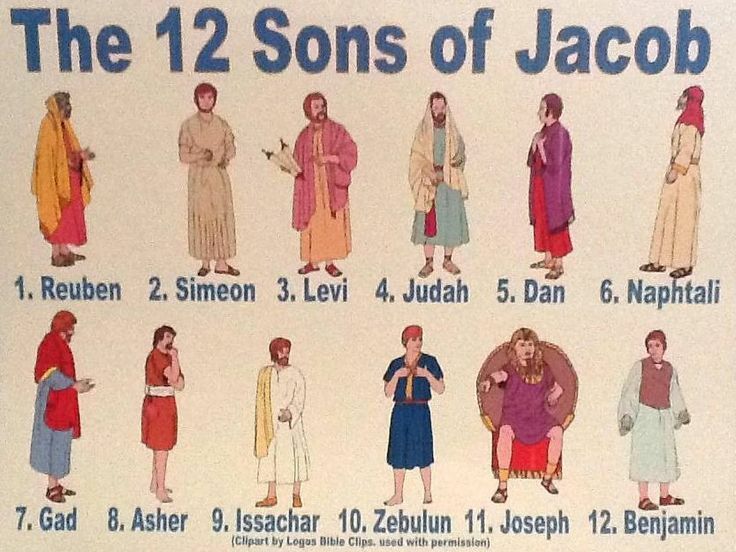 Israel”s 12 sons became known as “the 12 tribes of Israel”, and later the kingdom of Israel. The Kingdom of Israel became a “divided Kingdom” with 10 Tribes living in the north (Ephraim) and 2 Tribes living in the south (Judah/Jews). Both Judah and Ephraim sinned against YHWH, breaking His COVENANT OF THE LAW (MOSAIC), and both were sent into exile. The Northern Tribes were sent into a permanent exile because YHWH wrote them a writ of divorce (Jeremiah 3:8). The Southern 2 Tribes (Judah) remained in Covenant with YHWH (married), and returned to Jerusalem after being exiled in Babylon for 70 years. The Covenant that both “houses” of Israel broke, The MOSAIC COVENANT, was NOT meant to be a PERMANENT Covenant! The Mosaic Covenant was ONLY IN PLACE because of SIN, and to LEAD ISRAEL (Jew and Gentile) TO the MESSIAH YESHUA (JESUS)! The PERMANENT COVENANT IS the ABRAHAMIC COVENANT, which is FULFILLED by YESHUA in the NEW COVENANT. Genesis 17:7 I will establish My covenant between Me and you and your descendants after you throughout their generations for an everlasting covenant, to be God to you and to your descendants after you. Let’s quickly go back to the book of Genesis (1st book of the Bible) and review the promise that was given to Abraham. God promised Abraham that through his lineage would come a descendant (the Messiah) who would be a blessing to all the nations of the world. He was also told that he would be the father of many nations, or melo ha’goyim (multitude of nations/gentiles). The Lord God YHWH told Abraham that he would be the father of a multitude of nations, which in Hebrew is “melo ha’goyim” (Gen. 17:5). The word for Gentile is “goyim” (also the word for nations). Abraham was prophesied to be the Father of not only the Jewish nation, but also Gentile nations. Even Abraham realized that the dwelling that he longed for was not just a physical reality but a spiritual one. Hebrews 11:10. Abraham was confidently looking forward to a city with eternal foundations, a city designed and built by God. Jesus is the ultimate seed of promise. Like Isaac, whose birth was miraculous, Jesus miraculously was born to fulfill the covenant made with Abraham and to fulfill every promise God ever made to mankind. Galatians 3:16. The promises were spoken to Abraham and to his seed. Scripture does not say “and to seeds,” meaning many people, but “and to your seed,” meaning one person, who is Christ. God told Abraham that through him every nation on earth would be blessed. Jesus is that blessing! Isaac, Jacob, Judah, David, Solomon- these offspring do not bless us. At least not eternally. Jesus IS the blessing because he is the substitute for all humanity. He is the one who would be born to the woman, born without sin, born to die. He would courageously carry his cross and die the death for you and me that we deserve. In Ezekiel 37, YHWH promised to breathe LIFE into the DRY BONES of the WHOLE HOUSE of ISRAEL, Ephraim and Judah. YHWH states that He will SAVE the WHOLE HOUSE of ISRAEL! Israel was Jacob’s COVENANT NAME! The name ISRAEL speaks of being bound with a bond (COVENANT) of LIFE and LOVE to God. THE NEW COVENANT! Galatians 3:29: And if you belong to Christ, then you are Abraham’s descendants, heirs according to promise. Galatians 3:6: Even so Abraham believed God, and it was reckoned to him as righteousness. 7 Therefore, be sure that it is those who are OF FAITH who are SONS of Abraham. 8 The Scripture, foreseeing that God would justify the Gentiles by faith, preached the gospel beforehand to Abraham, saying, “All the nations will be blessed in you.” 9 So then those who are OF FAITH are blessed with Abraham, the believer. When YHWH says that ALL ISRAEL will be saved, He’s stating that ALL those who BELIEVE in HIS SON YESHUA (JESUS), who are COVERED by the NEW COVENANT, the fulfillment of the ETERNAL ABRAHAMIC COVENANT, will be saved! This is a Covenant of LOVE!. All who reject the Savior, YESHUA (JESUS), whether Jew or Gentile, are NOT in the NEW Covenant and will NOT be saved. The Old Covenant (Mosaic Covenant) was TEMPORARY and is OBSOLETE and is passing away (Hebrews 8:13)! Because the Jewish people have been PARTIALLY BLINDED UNTIL the fullness of the Gentiles comes in, they are being permitted to remain in the Old Covenant UNTIL YESHUA returns, and then they too will have to make a choice, choose YESHUA and LIVE…or not. Jesus will then bring BOTH HOUSES of ISRAEL, Jew and Gentile together, as ONE STICK in HIS HAND, ONE PEOPLE with ONE KING, YESHUA (JESUS). They will be HIS PEOPLE, and HE will be THEIR GOD! Ezekiel 37:15; The word of the Lord came again to me saying, 16 “And you, son of man, take for yourself one stick and write on it, ‘For Judah (tfj:Jews) and for the sons of Israel, his companions’; then take another stick and write on it, ‘For Joseph, the stick of Ephraim (tfj: Northern 10 Tribes/Gentiles) and all the house of Israel, his companions.’ 17 Then JOIN them for yourself one to another into ONE STICK, that they may become ONE in your hand. Romans 11: 17 But if some of the branches were broken off, and you, being a wild olive, were GRAFTED IN AMONG THEM and became partaker with them of the RICH ROOT of the olive tree, 18 do not be arrogant toward the branches; but if you are arrogant, remember that it is not you who supports the root, but the root supports you. 19 You will say then, “Branches were broken off so that I might be grafted in.” 20 Quite right, they were broken off for their unbelief, but you stand by your faith. Galatians 3:28: There is neither Jew nor Greek, there is neither slave nor free, there is neither male nor female; for you are all one in Christ Jesus.